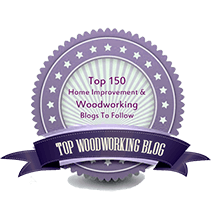 Heartwood » Blog Archive » Need a new tool? Sure! Need a new tool? Sure! I enjoy tools so much that sometimes I think I make things just so I can use good tools, but no, it’s really not that way. The desire to create artful things from wood is my primary driver. 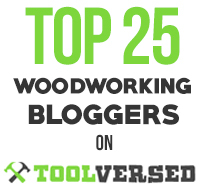 Still I admit, like most woodworkers, I have some tool “problems”, including an insatiable want for new and better tools, refining the ones I have, and conjuring implements that don’t yet exist. To keep all this from getting out of hand, I have to impose upon myself some rational discipline. I govern purchasing or building new tools with one or more of several criteria. 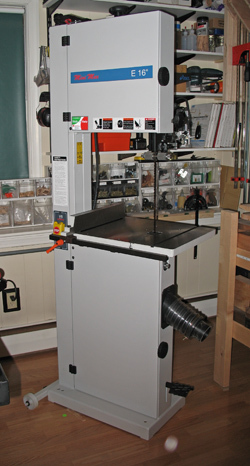 First and foremost, will the tool reasonably allow me to make something I eagerly want to make? For example, if I really want to make a walnut table with a nice handplaned finish, I need a good smoothing plane. Occasionally, the tool itself is the generator of a project. Probably no one would have thought of making bandsawn boxes without the bandsaw’s capabilities to suggest such a construction. Usually, however, the intended design drives the tooling. Second, will a tool substantially change the way I work and for the better? Having a shooting board gives me the means to fit drawers with an incremental methodology that would be difficult, if not impossible, to execute any other way. I’m a better woodworker for it. Having a nice Italian bandsaw with 12″ under the blade isn’t the only way to resaw wood, but it is so vastly more efficient than resawing by hand that it makes a qualitative difference in how I incorporate resawn wood into my projects. Then there’s the issue of quality. When I upgraded to a better quality Japanese dovetail saw my cuts became cleaner and more precise. Better tool, better work, but where does it end? I think the plotted curve of woodwork quality against tool cost approaches level as one considers some very high end tools. Choose your point on the curve according to your own desires but also at your own peril. Finally, will a tool allow me to work faster? This is the danger zone and we’re generally talking power tools here. Is it really faster? I mean after you’ve read the instruction manual, tuned up all the machine’s idiosyncrasies, and set it up? Maybe. What portion of the total project time are you saving on that one operation? Is it more pleasant? Not likely. How applicable is the machine to different tasks? If I’ve got two angled tenons to cut I’m pretty sure I can do it faster and more peacefully by hand than by machine. Think through the whole project, not just the isolated processes, and see what time is saved and at what cost. One more thing. I detest owning any tool that I never use. I guess it’s something like having a benched player on a professional sports team who just takes up salary cap space. * Do I already have something that does substantially the same thing, or can be made to do so without herculean effort? * Is this a tool for which I can make a substitute, learning something useful in the process and/or without much pain? * Does it let me do something I would not otherwise be able to do? * Is the thing it does something I need to do for a project I’m currently working on? If not, am I just adding to my own workload by buying it? Good post, especially in these not-so-spendthrifty times :). Love your site. I’ve read a few posts and really enjoyed them… look forward to reading the rest! You make some very valid and practical points in this post. Couldn’t agree more… one of the tools (correction, the only tool) that I haven’t purchased is a tenoning jig for the exact argument you’ve made (cost, setup time, lack of joy to use compared to hand tools). Thanks for the comment. Yes, yes, buy the saw, and at least a couple of planes while you’re at it. It’s the sensible and patriotic thing to do. You make no mention of another criterion that is crucial to my tool buying decisions: Will I be able to acquire this tool before She Who Must Be Obeyed (SWMBO) finds out I want one and spends hours trying to convince me that a plane is a plane is a plane and that I don’t need it. Ah, a much more difficult problem! Maybe that plane could somehow be construed to be a necessity in some home improvement project (before it gets to your shop, of course).